Guess whoo s back? Ito s JWMAN123! Today, I have a very exciting project, the User-Friendly Cannon! o So,o you may be wondering, o Why do I need this cannon, what can I use it for; and why does JWMAN always start off with the same silly intro?o This cannon is well, extremely user-friendly. There are two dials, which you can change with the buttons on the side. The higher the dial is, the more TNT will be used to propel the cannon ball on that side. So, say you want to shoot the cannon ball really far to the left. 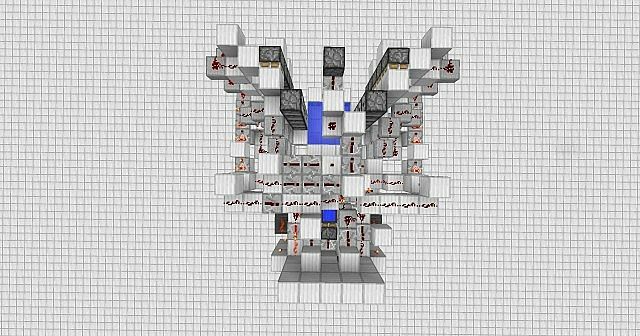 You would have a small number on the left (less TNT), and a higher number on the right (more TNT). It would then propel it to the left. Quite dandy, isno t it? 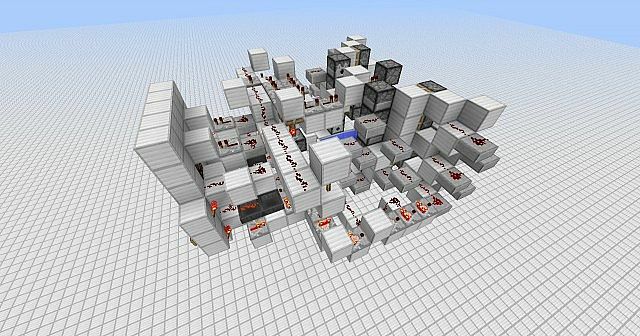 Also, it is only 13 blocks wide, 14 long, and 7 high, quite compact. As if that wasno t cool enough, there is also a built in safety system. What if you choose to have no propellant, but you accidentally fire the cannon ball? No worries! If you have it set so there will be no propellant, the signal which ignites the cannon ball will be canceled. So, after that very long description, here is a nice little list of features, which will probably be the only thing you ladies and gents will even read. -Two designs: One design automatically drops the cannon ball, whereas the second version lets you choose when to drop the cannon ball. -Safety features: In case you accidentally fire the cannon with no propellant, the signal to the cannon ball will be canceled, so that way the cannon wono t blow up. Always nice. 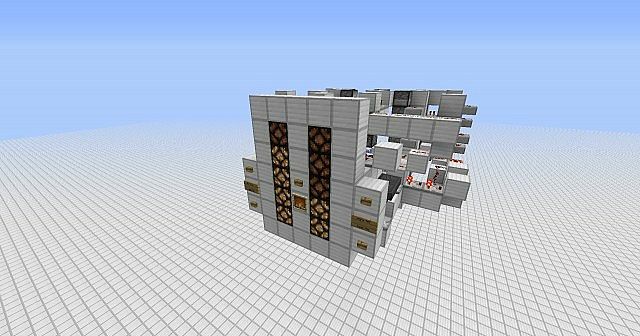 -Compact: Even though it looks bulky, you would be hard pressed to make a more compact design. Thereo s a lot more to the cannon than meets the eye. -Powerful: This thing, when set on higher firepower, shoots the cannon ball EXTREMELY far! I was amazed when I first shot the cannon. -Looks great! : This cannon looks really nice! Fight off zombie hordes in style! So what on earth are you waiting for? 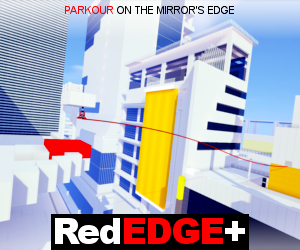 Download the project now! And if you like it, give it a diamond. If you love it, give it a favorite. If you want to see more of my projects, subscribe! Still wondering about that robot? Yes, Destructotron 3000 will be released at some point. I'm working very slowly on him, and I have been working on lots of other redstone goodies as well, so I have been very distracted. If you don't know what I'm talking about, check out this link. I made a small change to both cannon designs to make the aiming more accurate. Unfortunately, I will not be uploading new pictures, because the changes were rather slight. Yeah, that bit is pretty important. ( : It's quite simple, when their is no propellent, it deactivates a piston, which cancels the signal to the cannon ball. Yeah, the wiring was kind of all over the place, and the cauldrons worked quite nicely. 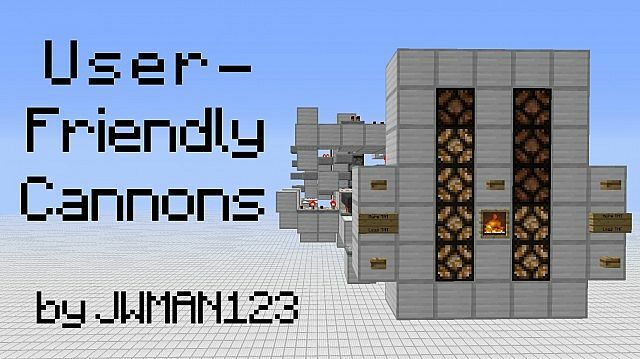 I think that's a cool feature that a lot of people miss, the use of cauldrons and comparators. Why thank you! Actually, to answer both your comment and Foxsong's, the cannon design I used is actually very similar to FVDisco's and SethBling's SUPER Pirate Battle Royal, but only the cannon part. The rest is, as far as I know, completely original. Actually, the safety feature doesn't affect the power of the cannon. Also, when I made this project, I wasn't trying to make the cannon ridiculously powerful, I was mostly going for a clean looking cannon that was easy to use. But thank you very much for your feedback. BTW, what did you mean when you said "a trajectory changing system"? I'm not quite sure what you meant. Also, I added just a couple blocks that make the aim on the cannon much more accurate. I'll probably update the project soon. woah, sounds fancy. I will test it out. Although, I don't think I could fit that in and keep the same dimensions. 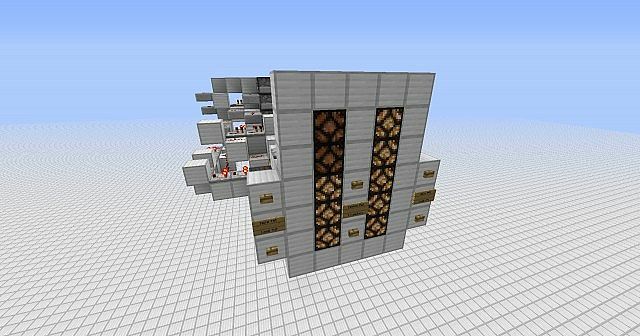 question: how did you make it so that the tnt never runs out of the dispensers? 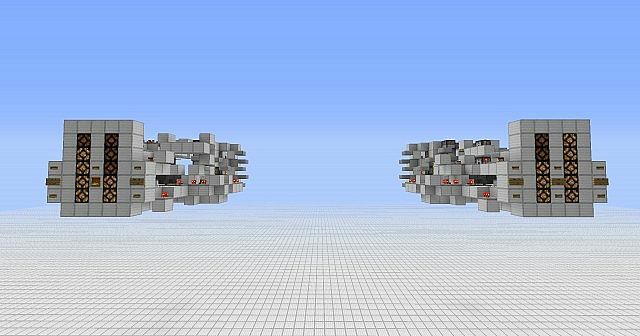 I used SethBling's FillDispensors MCEdit filter, and I set the quantity to -1. Do you like the cannons? i love how you made it so you could change direction but it doesn't fire too far. if you want it to fire farther you might want to make the place the tnt in the back drops to more closed in, maybe make it so that the tnt falls through a chute that closes with a piston after they all fall and have them fall into water in a nearly closed 1 block tall space where there's a 3 block wide hole that opens up in the front aiming at where the tnt that gets shot falls. the way you have it now, there's nothing directing the blast from the tnt in the water anywhere so the force from the explosion just disperses everywhere where there's open space, causing the falling tnt in the front to receive a largely reduced amount of force and therefore being shot at a shorter distance than it has the potential to. Hmm, are you sure you were using the cannon correctly? Because, when I fire it, it goes extremely far. 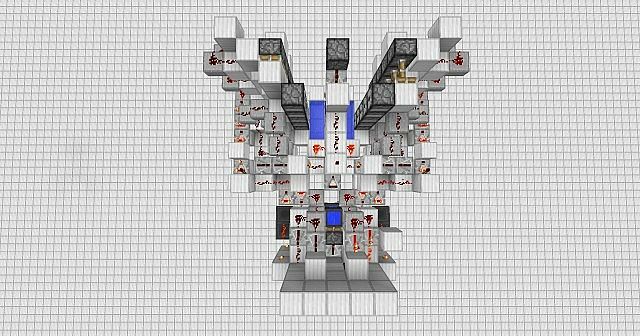 I've tried out a bunch of different designs, including the one you described, but because I had to place walls on each side of the dispensers, so as not to let the TNT fall out of the water, the walls actually decreased the firepower significantly. But I'll tinker with it a bit, maybe make it a little bit more powerful. But, as I said in the comment to iyecte, I will be making a very slight change that will make the aim more accurate, and I will release the update soon.